Never was anyone so excited by a battered old boat like my godfather, Jan Paseka, a real maritime anorak. Jan often tracks down then shows me the most obscure and hidden historic places around Sussex that nobody else ever seems to have heard of. This time our adventures took us to Newhaven. Now, unless I’m on my way to Dieppe, I generally avoid Newhaven like an MP avoids the House of Commons during summer recess but on this occasion, the visit was well worth the Sunday traffic. 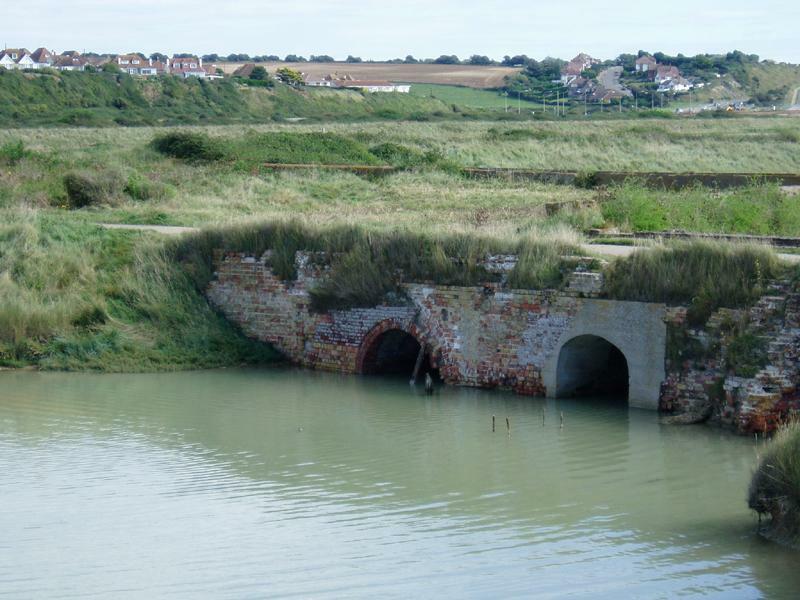 In 2004, various organisations, including Sussex Probation, collaborated on a project to uncover the remaining foundations and walls of the forgotten village of Tide Mills. The River Ouse once emerged near Seaford until a large storm resulted in a permanent change of path to Newhaven, where it emerges today. Shingle built up on the old bed, closing off the old Seaford mouth, leaving a creek that filled and emptied with the tide. In 1761, the Duke of Newcastle granted three Sussex merchants permission to build a damn and mill on the creek. The mill, in order to grind corn into flour, was spun by the water rushing in and out of the pond as the tide rose and fell. William Catt took over in 1808 and expanded the operation dramatically, becoming the most famous of the mill’s owners. The buildings were generally of Sussex flint construction which can still be seen today in the ruins. The arrival of the railway gave local farmers the ability to send their corn elsewhere for grinding cheaply which was the beginning of the end for the mill. The business closed in 1884 though the last residents left in 1940 when they were re-housed due to poor sanitation. 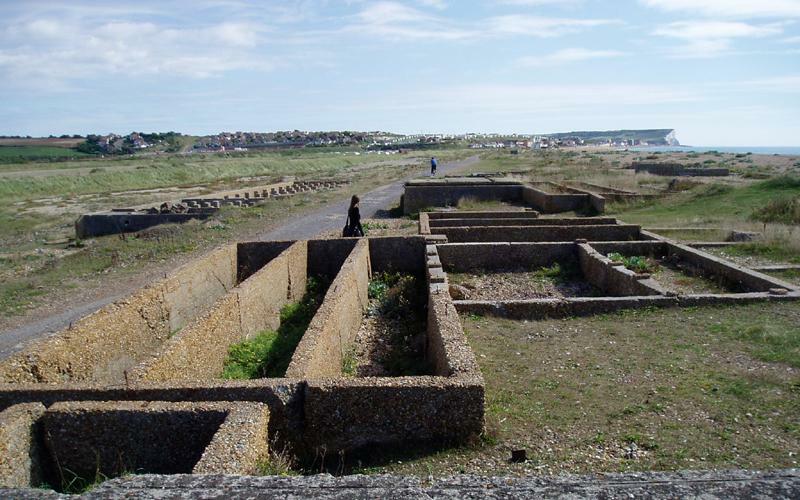 The army then flattened the buildings as part of the Coastal Defence Strategy in order to remove possible enemy hiding places. I was hoping to gather enough material on that trip to write one column on Newhaven but was pleasantly surprised to discover five or so places that are each deserved of their own column. One thing that was impressed upon me was quite how important Newhaven once was. With various regeneration programmes in place, I believe that Newhaven really is now on the way to recovery. Property investors – maybe you’ve already missed the boat on this one as my guess is that this old wreck’ll soon be afloat again.